The father, who was fighting deportation when the callous act took place, said: “Shoot me, I killed my daughter”. The attacker kill the toddler and claimed he acted out of despair as “everything around me collapsed”. The prosecution claimed the father’s act was out of “anger and revenge” against his Pakistani wife Lubna. 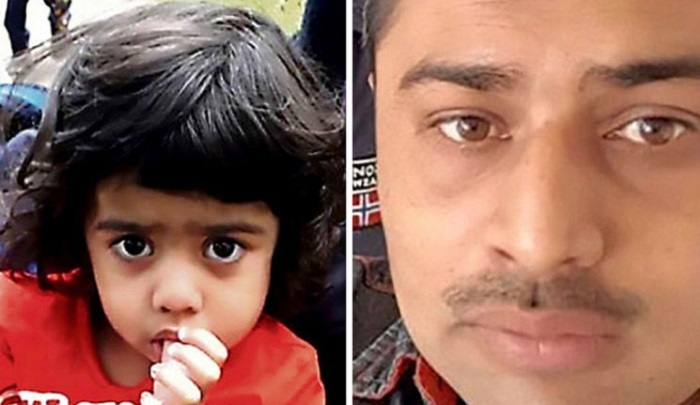 They have said that Sohail A was angry because his wife did not want to leave her daughter alone with him in Pakistan and she wanted to punish him for a stream of domestic abuse and threats. After killing his daughter Aeysha, he left Germany and fled to Spain where he was caught by police. According to the prosecution, Sohail A, had attempted to choke Lubna’s five-year-old child from a previous relationship in September 2016. Lubna had also filed a criminal charge against her husband for attacking her. In October 2017, Sohail A threatened he would kill his wife and son, after which Lubna again filed a criminal complaint. According to child protection services there was however “no sign the situation would worsen”. The day after Sohail A’s final asylum application was rejected he allegedly attacked Lubna at their home in Hamburg. She had already said that she wanted a divorce and fled the house. Lubna then alerted the police and seeked refuge at her parents house. However, her husband did not allow her to take Ayesha with her. He then slit his daughter’s throat while his wife was filing another criminal complaint for domestic violence at a police station…..